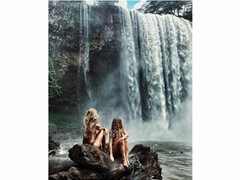 This is a water based shoot at Kondalilla Falls on the Sunshine Coast for two models to show off a lingerie and swimwear brand. We are looking for a very dewy face and quite natural eyes. The shoot will take place early morning to avoid crowds, so make sure you are prepared for that if you apply. We are planning to do the shoot Sunday the 3rd.